To join other customers in this discussion, please visit our Community. 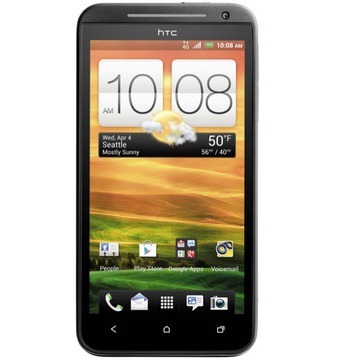 We are pleased to announce that our warehouse has HTC EVO 4G LTE devices to fill pre-orders. We are no longer accepting pre-order cancellations. Beginning 5/21/12 at 5:00 p.m. Central, tell customers we cannot accept pre-order cancellations. Our warehouse is processing pre-orders and delivery is expected by 5/24. Advise them to wait for delivery of their device. Apparently, US Customs was actually testing single devices from individual shipping containers to ensure all passed "review" (this means one of every few thousand or so) - which honestly makes very little sense given what we know about the EVO 4G LTE's non-infringing status. Still, the pre-digital mentality of agencies like this in the US means a pre-digital screening process, so it doesn't come as much of a surprise. This notice does not include devices ordered through 3rd-party retailers like Amazon, Best Buy, or RadioShack specifically, but to people who ordered through Sprint directly. 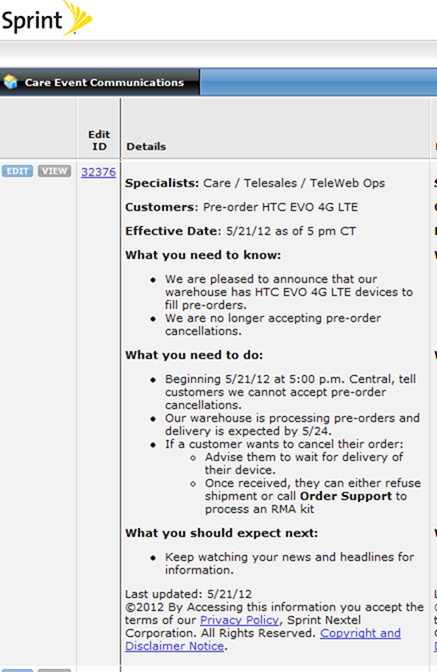 However, if you get shipment notice for an EVO 4G LTE from a 3rd-party retailer, be sure to drop us a line! We'll keep this post updated as we receive more information. The status of AT&T One X shipments remains unknown, but they'll likely be following shortly.